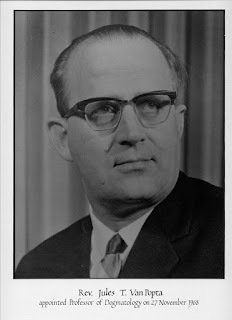 Jules T. van Popta, Dec. 13th, 1916 - Nov. 30th, 1968. Forty years ago, today, my father died at the age of 51. You'll notice from the date under the photo that he died three days after he had been appointed as the professor of Dogmatics (Hamilton).